I'm moving away from the business ... From the company, from all this kind of stuff. —George Lucas on his future career plans. ^ Maçek III, J.C. (27 August 2018). "Can Star Wars Be Saved?". PopMatters. ^ Child, Ben (31 December 2015). "Attack of the moans: George Lucas hits out at 'retro' Star Wars: The Force Awakens". The Guardian. Retrieved 18 April 2016. ^ Peterson, Jeff (7 January 2016). "George Lucas elaborates on his reaction to 'The Force Awakens'". Deseret News. Retrieved 18 April 2016. ^ Sweet, Lynn (15 April 2016). 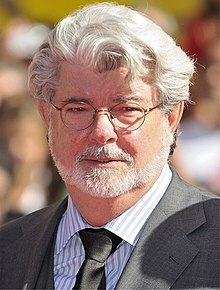 "George Lucas new major donor to Obama presidential library". Chicago Sun-Times. Retrieved 18 April 2016. 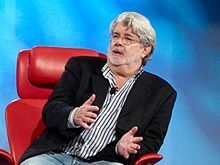 Wikimedia Commons has media related to George Lucas.